The visual for the 2014 edition has been created by photographer Elene USDIN. This photograph, taken at the Sala Studios in Paris, symbolises Elene Usdin’s highly personal style. You can see more of her work on her website. Born on 8 April 1971 in Paris, Elene Usdin graduated from ENSAD in 1997 and lives and works in Paris. She started out as a film set designer, then worked as an illustrator for the French and US press (Télérama, Elle, The Washington Post, The Boston Globe) and children’s books (Actes Sud, Nathan, Le Seuil, Albin Michel). In 2004 she discovered photography, initially learning by taking self-portraits. This work behind closed doors allowed her to test out staging techniques and approaches to body language and lighting on herself before applying them to other models. In her photographic work, “inspiration arrives by chance, but the construction of images requires a lot of thought”, she says. In 2006 she was awarded the PICTO Prize for a young fashion photographer. She exhibited at the Rencontres d’Arles in 2006 and at the Farmani Gallery in New York in 2010. 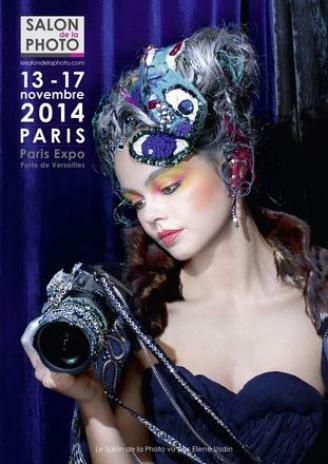 In 2011, she was sponsored by De l’air magazine to compete for the Zooms Awards at the Salon de la Photo.